What is NASA-Certified Black G-10 Composite? Discussion in 'Emerson Knives' started by The Whip, Mar 3, 2019. As I read over the descriptions of the new 2019 models, I noticed that the Appalachian was called out as possessing a handle of "NASA certified black G-10 composite." Based on my searches, only the XHD HMMV-K, the Mutant, and the Spectrum models have received this designation in the past. What differentiates NASA-certified G-10 from other G-10? If there is a difference, why does the Appalachian merit the upgrade? Wait... I know this is a little off topic, but wasn't the CQC-16 designed for primarily as a hunting knife? 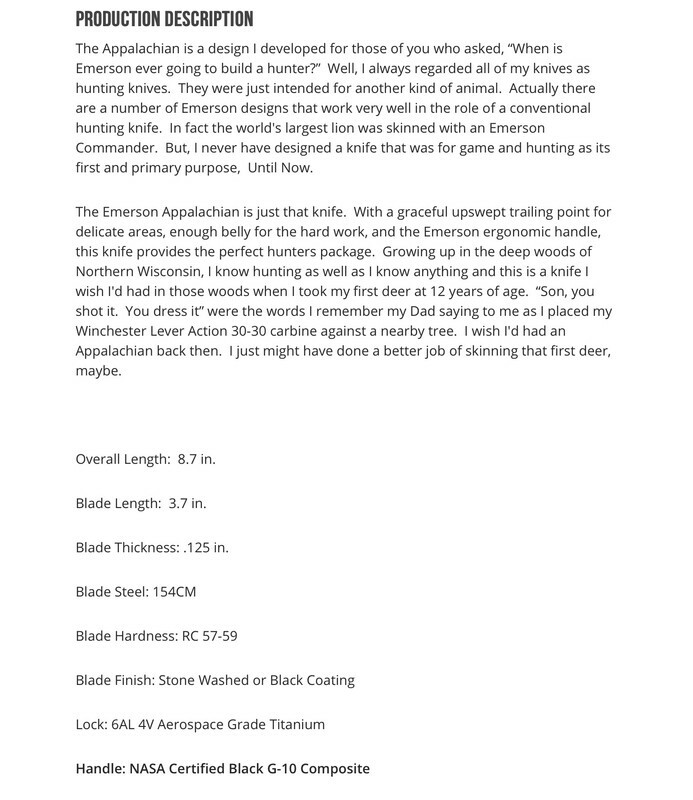 Ernie says that in his ad copy - "Actually, there a number of Emerson designs..." - so, yeah, I think there are a few traditional/Americana blade shapes that would qualify as hunting-esque. As for the G-10, it could just be their updated verbiage, or maybe they have changed G10. However, I wasn't able to find anything re: NASA certified G10. I pulled up the wayback machine and the listing for the 16 says that it was designed by a friend of Ernie's, so I guess he can honestly say he's never designed one before this. NASA Certified G10 means that the National Aeronautics and Space Administration has determined that this particular G10 is suitable for space travel. So if you get a ticket to go to the ISS you can bring your Emerson with you! As for the G-10, it could just be their updated verbiage,..
Mo2, ponykid and John_0917 like this. I mean I think it goes without saying that they're going to use quality materials. There are different quality ranges of G10 just like there are for other materials. CF in particular sees the widest range of quality used on knives in my opinion, some look great, others not so much. which, interestingly enough, were not described as possessing handles of "NASA Certified Black G-10 Composite." "Aerospace-grade" is pretty generic. I can accept that kind of description without clarification. But "NASA-certified" invokes a whole series of parameters and requirements that isn't generic at all. I'd simply like to know what it means as it applies to the material used on certain (and only some, it appears) Emerson knife handles. I don't know about you guys but the standard Emerson G10 is exceptionally grippy to the point of too abrasive... I routinely hit the G10 scales with my 220 grit paper to knock back the abrasiveness. NASA certified black is a few shades darker than the normal black. Like, black hole dark. I wear the ragged edges of my jeans pockets with pride. It's like a rite of passage. NASA-certified orange G-10? Does NASA have cause to use colored G-10, particularly orange? I'm starting to think that someone (EKI or EKI's G-10 supplier) is either embellishing or outright fabricating this "NASA-certified" attribution. I have a good friend who is a materials specialist at NASA. I'll be seeing him later this summer, and you can bet I'm going to ask him about this. He's a knife guy, too, so he will have more than a passing interest. I think NASA certifies its physicochemical properties, but not color. Dyeing processes alter chemical composition. Different colors would have to be certified individually. 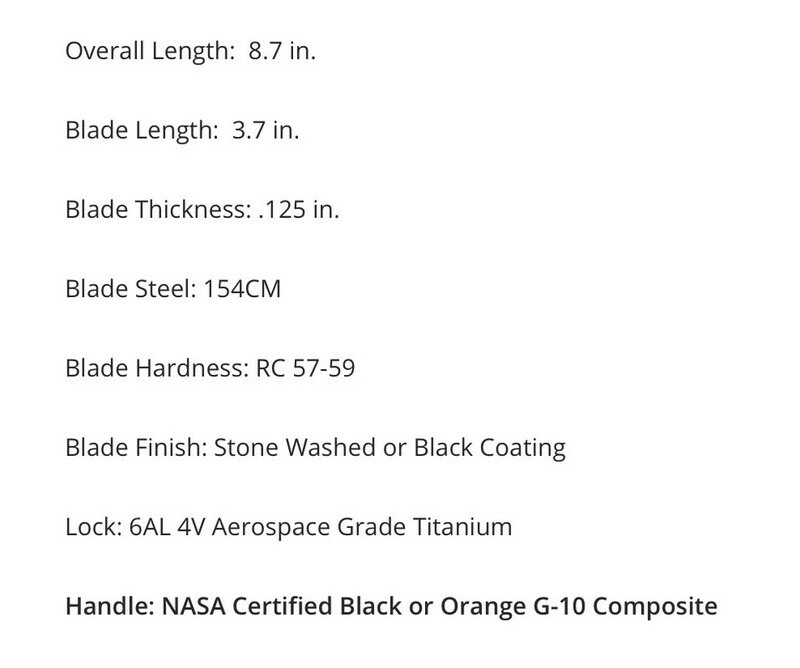 Claiming NASA certification directly implies that NASA is buying the very same G-10 that is being used for these handles (same supplier, same certified lots, etc.). 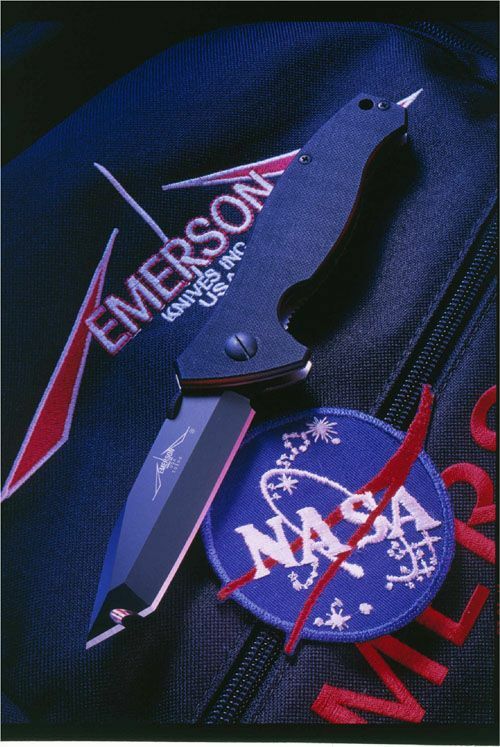 Not to split hairs over semantics, but if Emerson's G-10 is only being manufactured to the same standards as NASA's G-10, then it's not "NASA-certified," but rather "NASA-specification." Words have meaning, marketing gimmicks notwithstanding. If a company claims NASA certification for its materials, I expect it to be able to back that up with facts. In general, I would more like to believe in orange or another bright color for NASA, like bright colors for rescue services. And so, I fully agree, everyone must be responsible for the words! just like ford and military grade aluminum. EKI: Hey NASA, is this G10? NASA: Yes, it is. Why do you ask? jux t, The Whip, Mikel_24 and 1 other person like this.